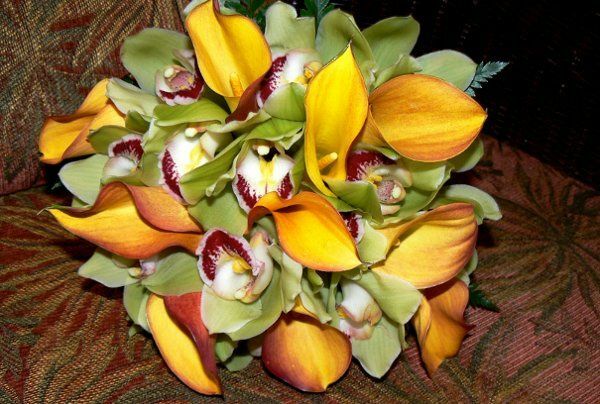 Ku O Lani Floral & Designs created magnificent pieces for my wedding. Darren was very kind and super easy to work with. By listening to my ideas of my favorite flowers & plants, Darren created stunning bouquets, and crafted one of a kind table & chandelier pieces. I was truly amazed. He had not only listened to me and delivered exactly what I wanted, but he went above & beyond. I felt that his creations were personal & a reflection of my personality. 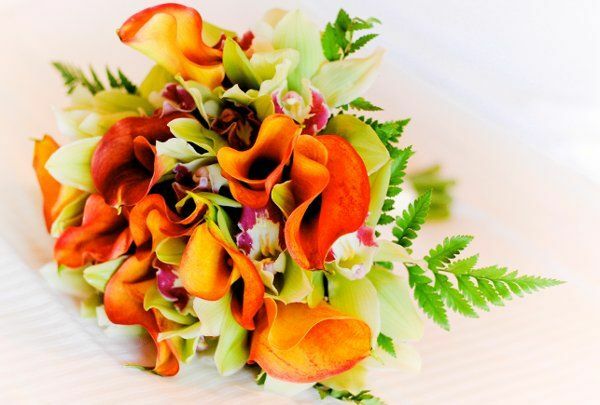 I had so many complements on all of the arrangements on my wedding day, and even now, in wedding photos, people are still commenting on how exquisite everything looked. 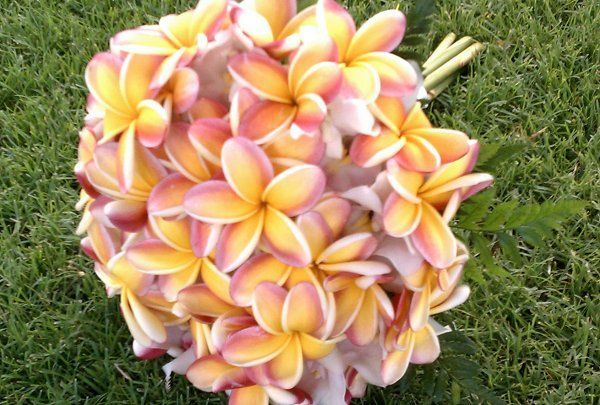 I HIGHLY recommend using Ku O Lani Floral and the artistic mind of Darren for any event that you might have! Darren did a fabulous job with our wedding! 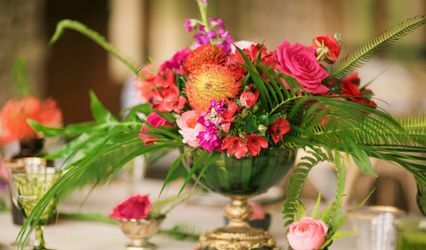 He was incredibly responsive over email (which is important because we live in MI) and helped me pick floral designs that were an amazing accent to our tropical wedding! On the day prior to our wedding, we realized we needed candle votifs for the reception. We called Darren and not only did he have them for a very reasonable price, but he personally brought the votifs to us. He also hand delivered all of the flowers. I would hire Darren again in a heart beat! He was absolutely fantastic to work with! Thanks, Darren! 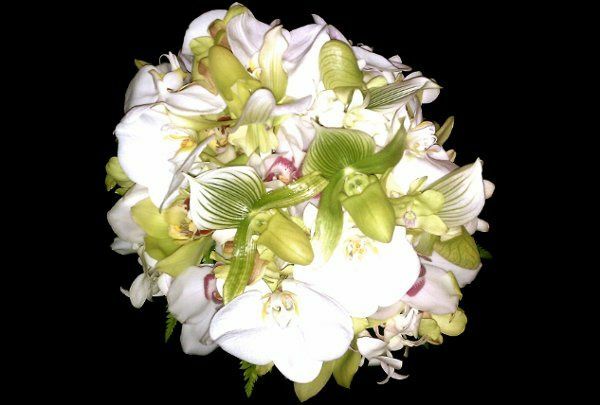 Darren at Ku O Lani Floral & Designs was absolutely wonderful to work with. 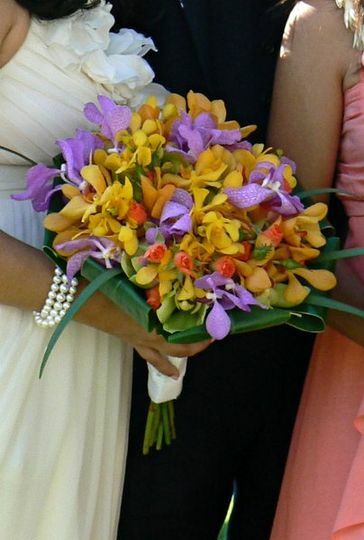 First of all I will say that the flowers turned out BEAUTIFULLY! It was exactly as I imagined and everything was so perfect. It looked like the wedding that I have always envisioned in my mind. Next, Darren was always in contact with me which made it so incredibly helpful! I talked to him on the phone and via email and he was just terrific. He sent pictures and asked questions and really got a feel for what I was wanting to create. He made it all happen! He was very flexible and informative! 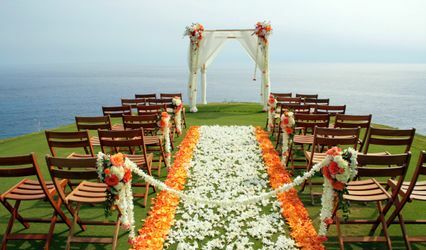 On top of having all of the arrangements made when he arrived, he put everything together from the table and place settings to the centerpieces and the linens and the flowers and décor on the chairs. Most touching was when he arrived to meet me at my room before the ceremony to give all of us our flowers. It was so wonderful to finally meet him and see for the first time his amazing creations. 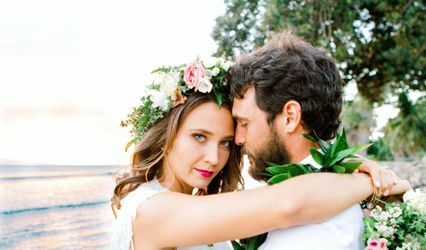 I was delighted to work with him throughout the entire process and would recommend Ku O Lani Floral & Design to anyone, anytime! BEAUTIFUL work and SUCH a nice person! What a pleasure! !